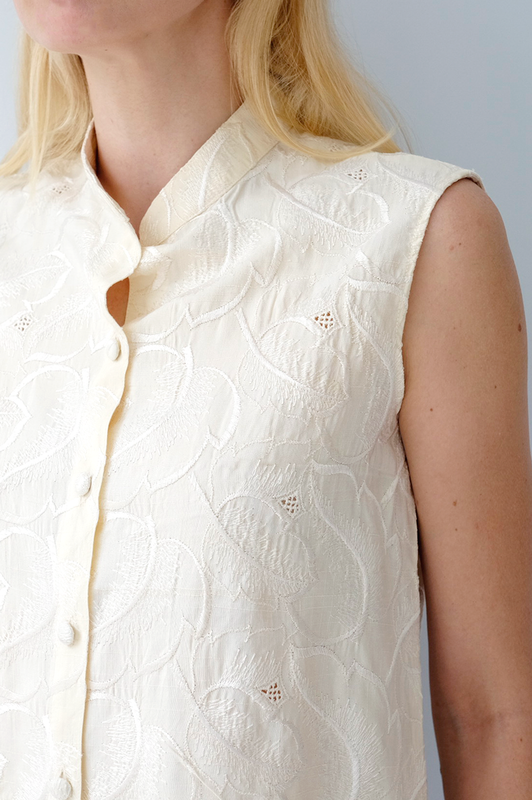 The Deteria Shirt in light yellow is cut from emboidered silk with a relaxed fit. The elaborated floral patterns and mandarin neck gives it a high sense of elegance and modernity. Wear it with either a skirt or shorts depending on the ocassion.